Up and coming fighter: Adam Jahovic fights Ignat Alexandru for the IFC (International Fighting Championship) Saturday 14th December. Takes place at 8pm at the Fight Science Gym in Aldershot. Adam weighed in at 68.2kg and is rearing to go! Bound to be a great contest…Best of luck Adam! UPDATE: 15 Dec. Fantastic victory for Adam! He managed to win the IFC Southern area title at the end of the 2nd round via TKO -Congratulations Adam, keep up the fine work!!! 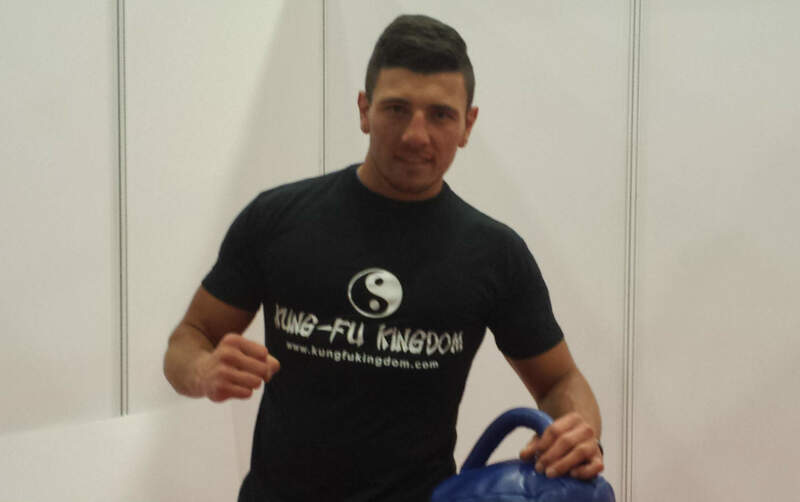 MMA fighter Adam Jahovic sporting his new KFK gear, good sport!